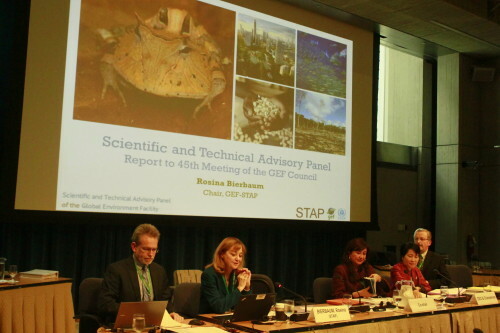 [T]he chair of STAP -- Dr. Rosina Bierbaum gave her first presentation to the GEF Council at the 45th Meeting on Wednesday, November 6. [T]he Scientific and Technical Advisory Panel of the Global Environment Facility (STAP/GEF) led two side events at the 11th Session of the Conference of the Parties (COP) to the United Nations Convention to Combat Desertification (UNCCD) held during the first week of the COP – 16th to 20th September 2013 in Windhoek, Namibia. 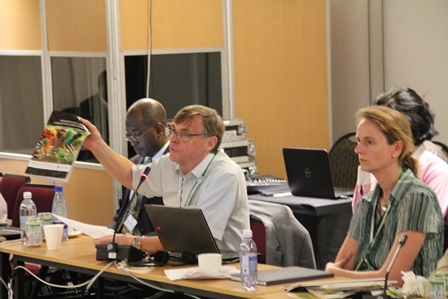 The side events were organized jointly with the GEF. [T]he workshop is a special session of STAP which will highlight the vital linkages between Sustainable Land Management (SLM) and management of land degradation, biodiversity conservation, mitigation of climate change, protection of water bodies and, more widely, human livelihoods and well-being. 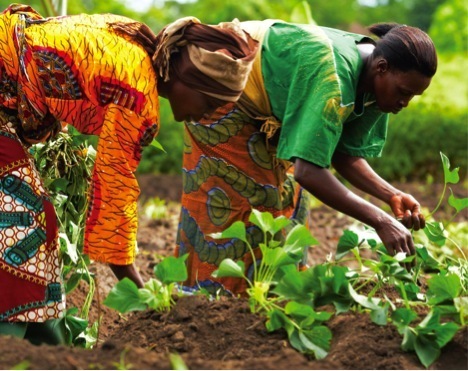 The objective is to underscore the unique role of SLM within the program of the Global Environment Facility. [T]his meeting has the following objectives: Review the role of sustainable land management in GEF 6 and the delivery of the GEF Program; Review of the draft GEF 2020 Strategy; Examine the role of research in the GEF – propose an approach for research in GEF 6; Overview of progress on OPS-5 – preliminary results of STAP Evaluation. There is a special session on soil carbon. To read more about it, please click here. To see logistics information, please click here.